On the release of her second book, we ask Tania Harris about listening to God, why she wrote a book on God speaking, and her favourite cake. 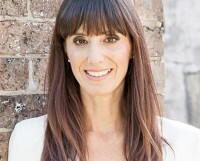 Q: Hi Tania, you’re known for being a skilled communicator. Can you give us your whole life story in one sentence? Since learning to hearing God’s voice, my life has been one non-stop adventure; from sports teacher to pastor; missions worker to church planter; academic dean to the founder of a global ministry, I saw God doing far more than I could ever ask, dream or imagine! Q: As you travel a lot, speaking and teaching, could you tell us first off where in the world you are at the moment? I’ve just returned home from my first ministry visit to Scotland and am preparing to head to a pastors conference in Queensland, Australia! Q: In your work with God Conversations Ministry, you have equipped people in how to listen to God. What would you say to someone who feels like God is silent? We do know that at times God is silent – his wisdom means knowing what to say as well as when to say it. But before we accept that possibility, we need to consider two other options: one, he may have already spoken and we didn’t recognize it or two, he may have spoken and we haven’t done what he said! Both are common. Our default should always be to expect God to speak, since by his nature he is a communicator, Jesus promised us a friendship that was defined by the things he would tell us (John 15:15) and the mark of a New Covenant Christian is access to the Holy Spirit who speaks to us wherever we go (Acts 2:16,17). Q: We look back in the Bible and see plenty of different ways God communicates with people (I have always thought speaking to a burning bush would be pretty cool), but is it any different today? That’s actually a profound theological question – and one that forms the basis for my current research in a Doctor of Ministry! My answer is broadly yes; God still speaks to us via his Holy Spirit just as he did in Bible times. The key difference between us and the (Old Testament) biblical characters is that we don’t have to go to a prophet to hear his voice; we can all hear him for ourselves. So it is possible that he could speak to us through a burning bush, but more probable that he will use the same techniques he used in the New Testament! Q: How was it when you first knew you heard from God? It was one of the best experiences of my life! Before then, I’d only known about God through the experiences of others, but now I knew him for myself. Q: It can be quite scary in the beginning, following God into the unknown. Does that ever change? In the beginning I struggled with the process a lot. There were tears, questions and plenty of arguments. You’ll see that in the book. I’ve since discovered the process doesn’t change, but I have. I’ve seen the pattern of how God works; I’ve learnt to trust him in the smaller things, and though the leading gets bigger, riskier and more supernatural, I now understand the process and that means there’s a whole lot less arguing and doubting than there used to be! Q: Your new book, God Conversations, is all about what happens when God speaks. What motivated you to write it in the first place? There are a lot of good books out there that will tell you how to hear God’s voice. I wanted to write a book that will show you. The goal was to invite the reader into the journey of hearing God - through the doubts and fears brought about by contradictions in circumstances, through asking God the hard questions and discovering his answers and finally, through experiencing the joy and wonder as God’s words manifested into spectacular reality. Ultimately, it was to help the reader find their own God-conversations stories in my life and in the lives of the Bible characters. Q: Is it purely a book for new believers who may be unfamiliar with listening for God? God Conversations is for beginners and the mature; for those who’ve known God for years and for those who have never really known him at all. It’s for everyone who is hungry to hear God’s voice more clearly and regularly in their lives. Q: How do you think life will be different after reading God Conversations? My prayer is that readers that will recognize the voice of God in their own experience and be encouraged to follow it. Q: I spotted on your website that you bake a mean chocolate cake, and so I thought I’d ask, what is your favourite cake? (You can tell a lot about a person by the choice of cake). I used to go for the triple-layer chocolate torte, but these days I’m more likely to opt for sticky date pudding or lemon tart and double cream. 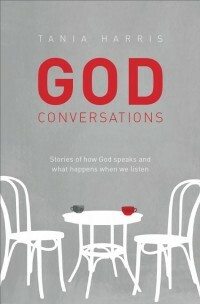 God Conversations by Tania Harris' second, and can be ordered here.